Soft clouds glow pink and blue in the late evening over Caldwell Pier. 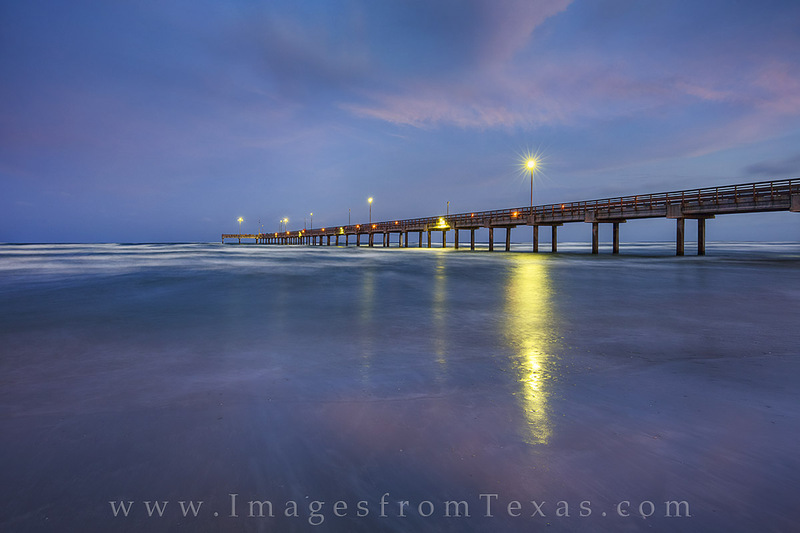 This fishing bridge juts out from the beach at Port Aransas and nearly always has people on it fishing and enjoying the ocean life. Photo © copyright by Rob Greebon.